One of the really great things about the Metro DC area is the abundance of information available to anyone who wants to learn how to take care of the environment. If you have lived here for very long, that may be something that you just accept as “the norm”, but there are many parts of the country….many states….and many counties that don’t provide any information to their residents on how to conserve water, create compost or install a rain barrel. To me, providing this knowledge to people shows a great commitment to the area and to the people who live here. 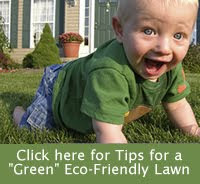 In case you haven’t gone out searching for any of this info lately, I wanted to remind you about the great Eco-Friendly Resources page that we have here on the Metro DC Lawn and Garden Blog. I had to fix some of the links from when I created it, but there is still a WEALTH of information for any budding green gardener.